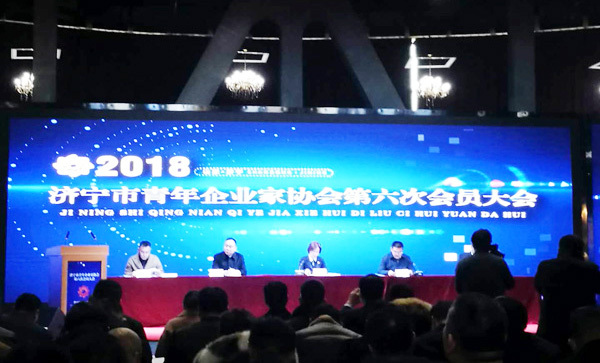 Summary: On December 28th, The Sixth Meeting Of The Jining Youth Entrepreneurs Conference was held in Jining Creative Building. Jining Youth League Committee secretary Zhao Xin attended the meeting. More than 100 representatives of young entrepreneurs from all walks of life in the city attended the meeting. China Transport Deputy General Manager Zhang Zhenguo was invited as a representative of Jinning Youth Entrepreneur. 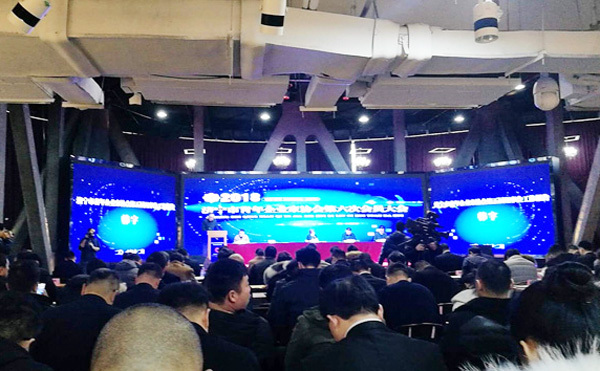 On December 28th, The Sixth Meeting Of The Jining Youth Entrepreneurs Conference was held in Jining Creative Building. Jining Youth League Committee secretary Zhao Xin attended the meeting. More than 100 representatives of young entrepreneurs from all walks of life in the city attended the meeting. China Transport Deputy General Manager Zhang Zhenguo was invited as a representative of Jinning Youth Entrepreneur. At the meeting, Jining Youth Entrepreneurs Association President Han Yu made a work report on behalf of the Fifth Council of the Municipal Youth Entrepreneur Association. The report summarized the work of the Fifth Council and arranged the next steps. Subsequently, the General Assembly elected the sixth council of the Jining Youth Entrepreneurs Association. At the meeting, a “story of youth” sharing event was held. Many representatives of young entrepreneurs shared their entrepreneurial journey and entrepreneurial sentiment. Their unyielding entrepreneurial spirit and wonderful entrepreneurial stories won the unanimous resonance and warmth of the young entrepreneurs. In recent years, China Transport has achieved remarkable results in e-commerce, cross-border e-commerce, intelligent manufacturing, software development, and smart logistics. It is precisely because our group has a group of outstanding innovations, courage and passion youth. It is reported that China Transport has 1,100 employees, including 770 young people under 35 years of age, accounting for 70% of the total number of employees. The Group has always attached great importance to concentrating and cultivating young entrepreneurial talents in various fields, and motivating young people to innovate and start businesses on the China Coal Platform.